Volkswagen Group has made key changes at its top management level for its Indian subsidiary Volkswagen India. The changes include appointing of Mr Gerasimos Dorizas (52) as Chief representative of Volkswagen Group Sales India with effect from 01st March 2013. Mr. Dorizas was earlier Managing Director of VW Group Sales India. Also, Mr Mahesh Kodumudi (47) has been appointed as President and Managing Director of Volkswagen Group India Pvt. Ltd wef 01st March 2013. Dr. John Chacko (60), previously President, Managing Director and Group Chief Representative of Volkswagen India, is transferring to a responsible position with AUDI AG with effect from April 1 2013. Sales expert Gerasimos Dorizas joined the Volkswagen Group in 2007. After starting his career in sales with Nixdorf in Greece in 1987, he transferred to the automobile industry in 1992 and held responsible positions in the sales organizations of a number of different manufacturers for several years. In 2007, he was appointed Executive Vice President for sales and marketing of the Volkswagen Group Japan. From 2008, he was President and CEO of Volkswagen Group Japan, before joining Volkswagen Group Sales India as Managing Director in 2012. Mahesh Kodumudi completed an engineering degree in India and the USA. Following a successful career in the automotive components industry, Kodumudi joined the Volkswagen Group in 2008 and was appointed Executive Director, Purchasing of Volkswagen India Pvt. 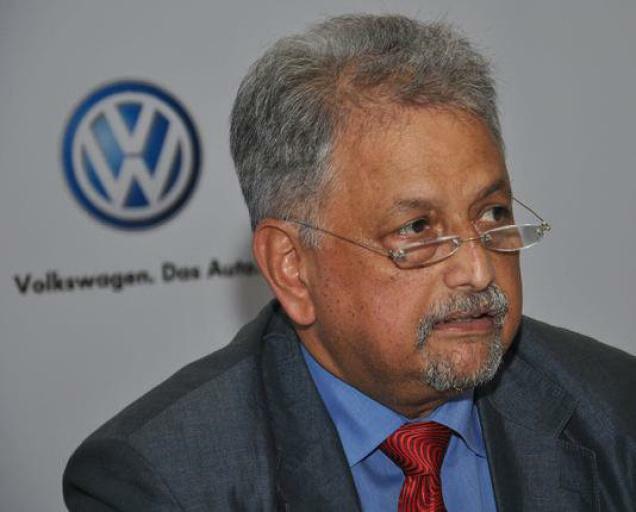 Ltd.
Dr. John Chacko has worked for the Volkswagen Group since 1979. Chacko, who holds a degree in aeronautical engineering, held various management positions at Volkswagen, Audi and SEAT before becoming Technical Project Manager for India with Volkswagen in Wolfsburg in 2006. In 2008, he became Technical Managing Director of Volkswagen India Pvt. Ltd.. He was appointed President, Managing Director and Group Chief Representative for India in 2010.